Check out those masks! Edge West recently filmed a historical recreation featuring Marie Antoinette for its upcoming Nat Geo series, “Party Like….” This episode, “Party Like a Queen” shows the teen queen party machine attending a masquerade at the Paris Opera in the 1770s. 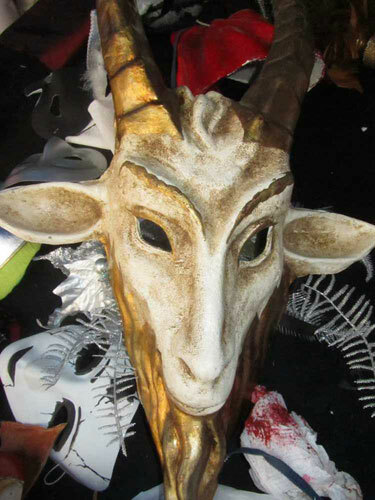 Everyone wore masks, many of them inspired by the great Venetian Carnivals, which date back to the 12th Century. Some are highly decorative and colorful, like the Columbina mask; some are amusing like the long-nosed Medico, inspired by doctors who treated plague victims; others are downright ghoulish! But where do you find authentic masks? Edge West Productions turned to Shawn Strider, of Sypher Arts Studios, who makes masks and knows how they have been used through history to turn an ordinary party into a mysterious and risqué affair. 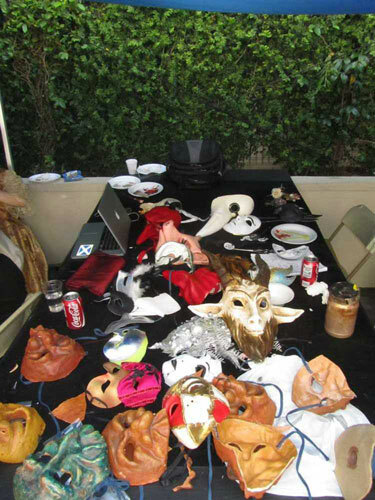 Shawn continues that tradition every year by organizing the Labyrinth of Jareth masquerade ball. This massive event brings together top set designers, costume makers, mask makers, special effects wizards, writers and other Hollywood maestros of make-believe for an unforgettable night of masked revelry. This year’s Labyrinth of Jareth event will be held July 1st and 2nd at the Park Plaza Hotel in Downtown Los Angeles.